The Savvy Stamper: It's a Birthday Hop! Sweet job, Colleen - love your pairing w/that DP ... great job, I know Christy will love it. Adorable! Love the BG paper and the image is colored perfectly! What a sweet card. Love it! Cute card... Love your color choices! Thanks for sharing! Great card. I really love that image. What a great card. 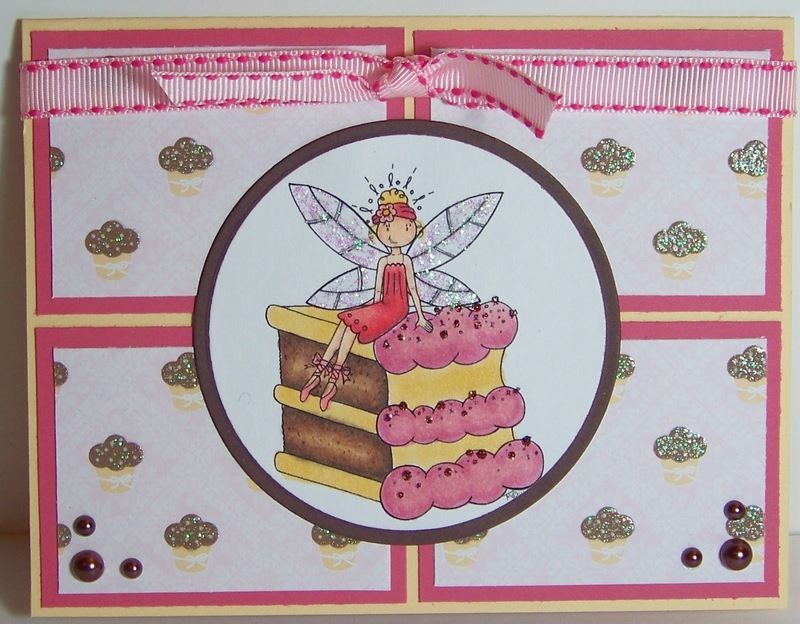 I love the cupcake paper you've used. TFS. Love the cute birthday cake fairy!! Thanks for sharing! Love the gittery wings and cupcakes! Really cute card! Isn't this image the greatest? Your cake looks yummy, and I love the layout, with your circle panel taking the center stage. So girlish. I love it. YUMMY card Colleen! :D Great job! :D Thanks for participating! 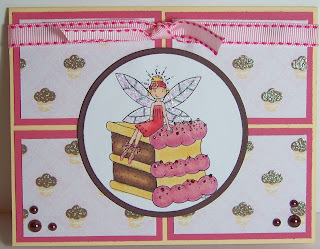 I love the cupcake paper, so sparkly and yummy looking! I had a big slab or chocolate cake Saturday afternoon too, just like one Cynthia is sitting on! Thanks for thinking of me on my b-day!